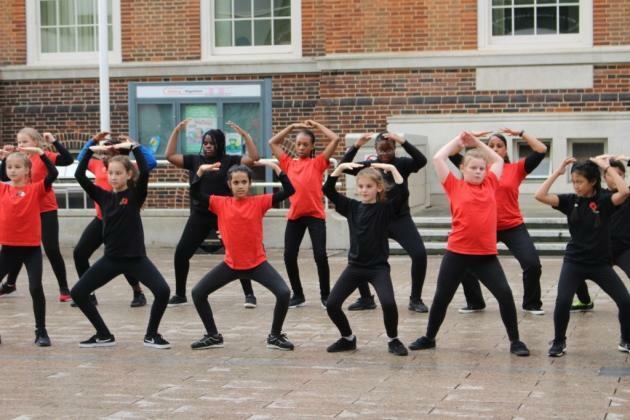 11 children from year 6 represented Becontree at a mass dance event at Barking Town Hall Square on the 7th November 2018. They were lucky to perform a dance routine alongside some other schools from our borough in front of the Mayor and Leader of the Council for Barking and Dagenham. The dance was to commemorate the Great War centenary for Remembrance Day. See the article in the Barking and Dagenham post.